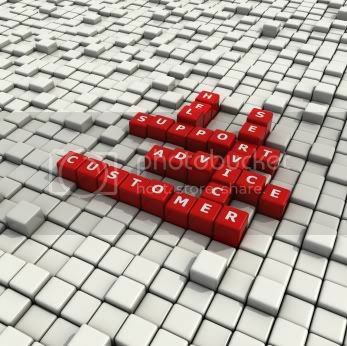 Online customer support: Are you getting it right? As the year is quickly coming to an end, we reflect on what we are most thankful for, and what we wish to accomplish next year. For many business people this is a time to evaluate the strategies and processes that were put into place to accomplish corporate goals. With the popularity of the social web as a customer service channel, one of the top priorities for many companies is customer relationship management, and they are looking at implementing a strong online customer support strategy for 2012. How does your online customer support strategy measure up? Use these four questions to measure how well your online customer support strategy delivered on results or to help build an effective strategy for the coming year. 1. Where do my customers live? I am not talking about their home addresses. I am talking about what channels your customers use to voice their feedback, opinions and issues regarding your products and services. To increase customer engagement you need to show customers that you are listening. This means you need to be everywhere your customers are. 2. What are my customers saying about my products and services online right now? Customers are discussing everything from product features to their overall customer experience with your product. There are live conversations related to your products and services right now online. 3. Do I manage all my customer requests efficiently? Once you have captured customer issues, problems and questions, what’s next? One of the important components of an effective online customer support strategy is to be able to communicate issues to the rest of your teammates. Doing so requires the right tools to help drive that information into other critical business processes like requirements and project management. 4. How involved are my customers in the development process? Customers expect companies to listen to them and to actually do something about their issues and requests. You can significantly increase customer engagement levels by keeping customers aware and updated on the status of their requests. Creating and implementing an effective online customer support strategy, takes time, and persistence. Checking out OneDesk’s full suite of online customer support tools is a good place to start.